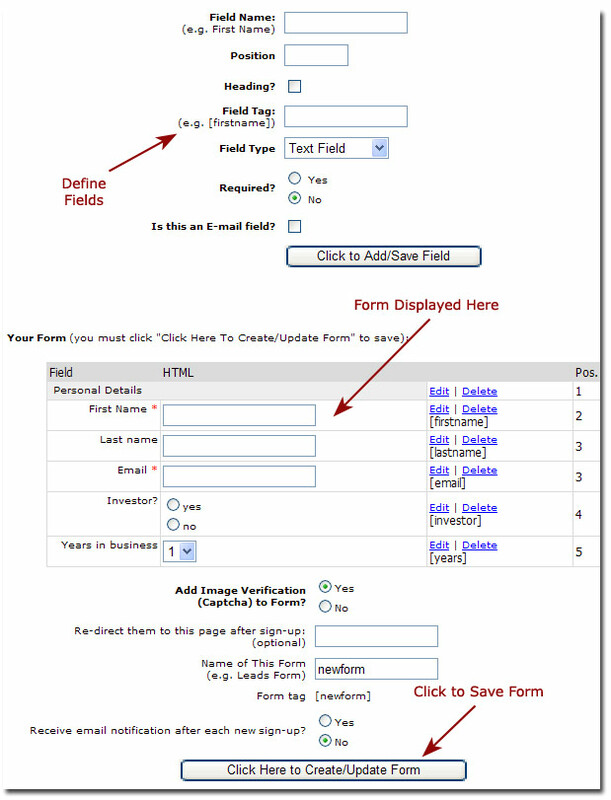 The custom forms feature allows you to create custom forms to collect any data you want. When you get your web site, you will find we have created sample custom forms for you that you can use, edit or delete if you do not need them. 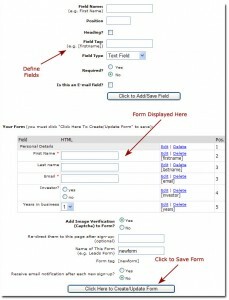 To see these forms go to www.[yourwebsite.com]/forms.php. To access them from your back office, go to “Customize Web Site” > “Create Custom Forms”. From here you can access the existing forms or create a new one. A new form tag will be created, e.g. [myform]. 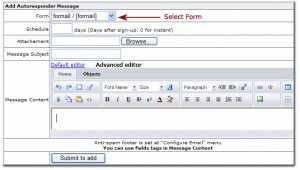 Your form will be displayed wherever you put your form tag, e.g. [newform]. 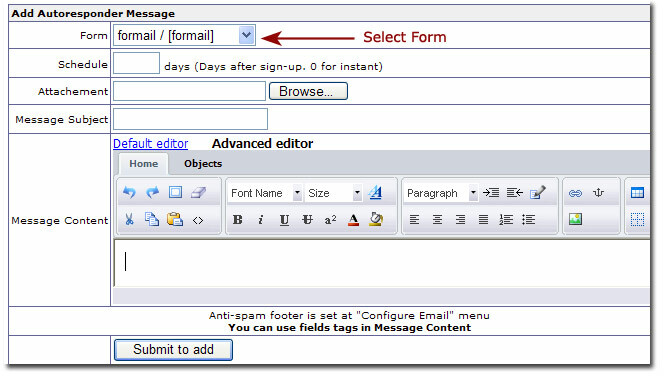 To create a new autoresponder message, select the Form you want to create a message for, schedule the days, enter message and save. Say you run a mortgage business on the side and you want to attract mortgage leads to your web site. Of course these are only examples; you have no limitations!